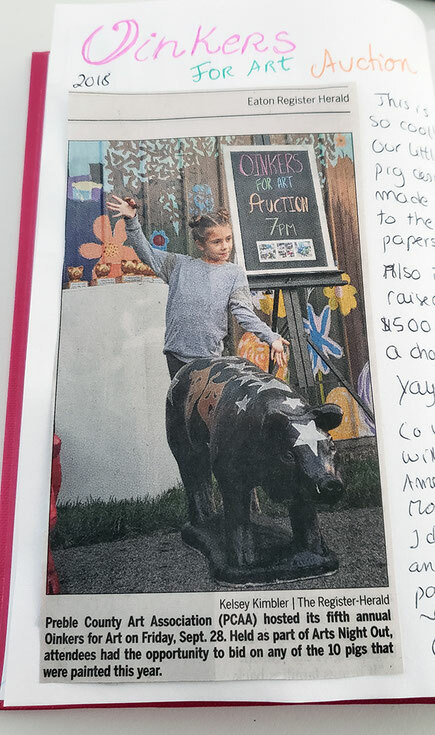 Our little pig made to the newspaper! What a proud pig mom I am. This was a great collaboration with my mother in law Lisa Marling to celebrate the love for the theater. And our little oinker raised $500. Isn't that awesome?